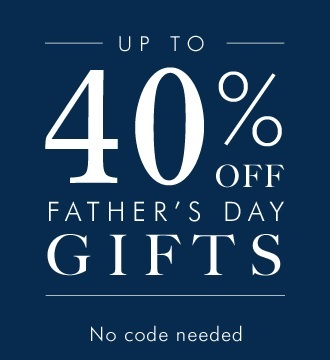 Banana Republic Canada online has a perfect offer prepared for Father’s Day. You have an unique chance to buy gifts for your father with 40% discounts. Plus, get a free shipping on all online orders of $50 or more. No coupon code is needed to receive this offer. Some exclusions may apply. Official source of the information is Banana Republic Canada. More information about the promotion available at Banana Republic Canada online. Offer expires on Friday, June 17, 2016.